Traditional and vintage style furniture add character, charm and timeless elegance to the home and in our opinion every home should have at least one vintage style or retro piece! 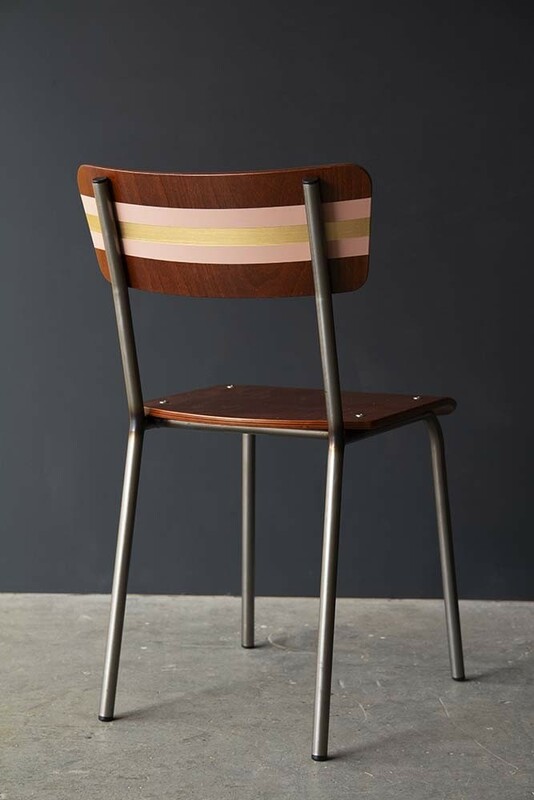 Quirky and cool the Contemporary Hand-Painted School Chair – Tuscan Pink & Gold are a modern twist on traditional style school chairs. 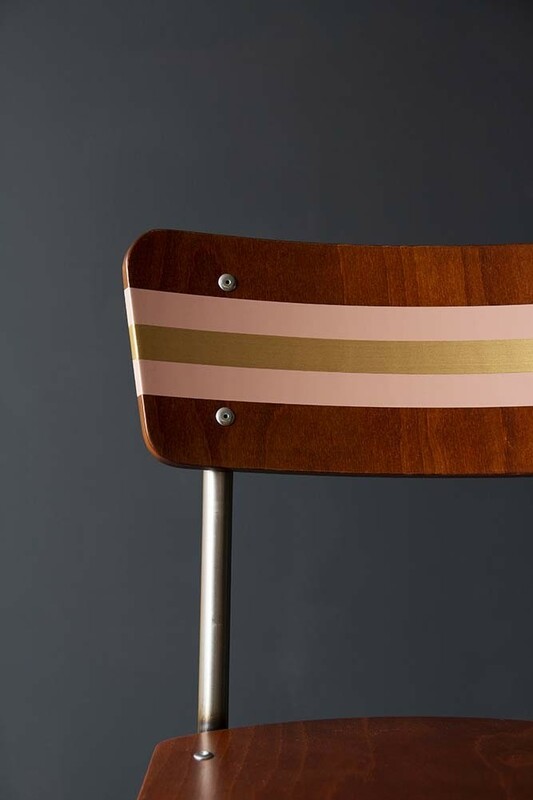 A unique seating choice for your kitchen, dining room and living spaces the contemporary and mid-century style Hand-Painted School Chair in Tuscan Pink & Gold is 100% British made and beautifully manufactured with great attention to detail. 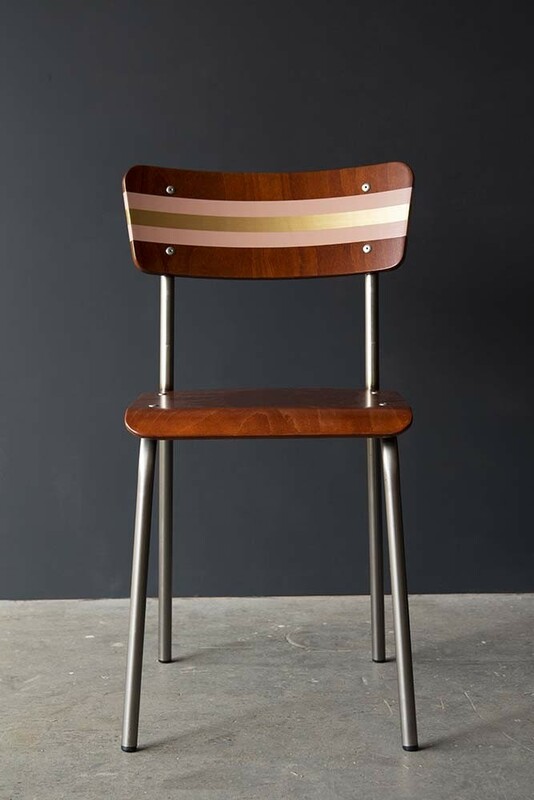 Based on the iconic retro style school chair, the Contemporary Hand-Painted School Chair features an industrial style tube steel frame, with sustainably sourced dark beech wood adorned with a light Tuscan pink and gold stripe on the seat back. 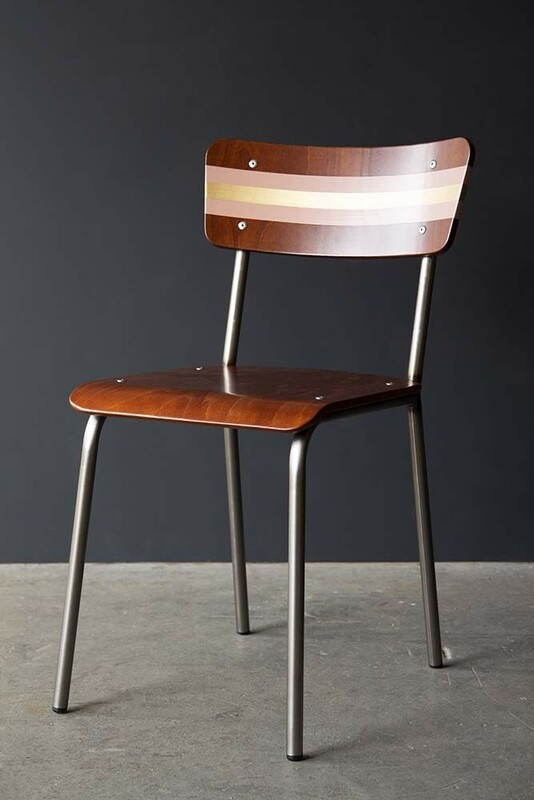 A fabulous dining chair, office chair or statement chair you can mix and match the school style wooden chairs around your dining table too add a eclectic retro feel to the home. The Contemporary Hand-Painted School Chair is available in 4 different designs including Tuscan Pink & Gold, Charlotte's Locks Orange & Gold, French Grey & Mid Azure Green and Off Black & Gold.